Wissahickon had won three of his previous four starts this season and was an 11-1 shot to provide trainer John Gosden with a fourth victory in the first leg of the autumn double. 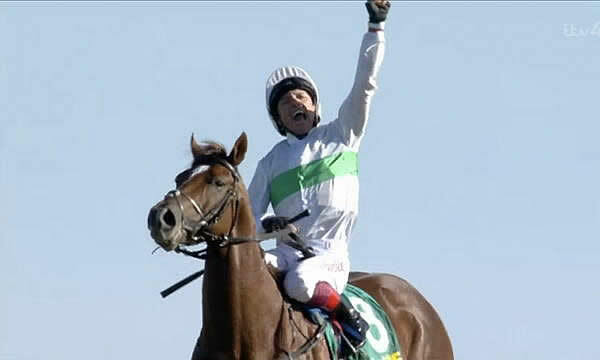 Frankie Dettori, bidding for his first victory in the race since scoring aboard the Gosden-trained Halling in 1994, cut a confident figure in the saddle for much of the nine-furlong journey, settling Wissahickon towards the rear of the larger group that raced on the far side of the track. Dettori angled his mount towards the centre of the course with a couple of furlongs to run and he quickly made his way through the field, taking over the lead from Via Via passing the final furlong marker. From there the result was never in doubt, with Dettori only having to push Wissahickon out to the line to score by three and three-quarter lengths. Gosden said: “Frankie said they went too hard. He said he dropped the bit on him, let him coast for three furlongs and then picked him up again. It was a very clever ride. Mordin, Via Via and Sabador were second, third and fourth respectively. Irish Cambridgeshire winner Kenya was the 8-1 favourite to provide trainer Aidan O’Brien with a big-race four-timer on the day, but finished well-beaten after racing prominently. The Cambridgeshire Handicap was first run in 1839, and the inaugural running was won by Lanercost. It was founded in the same year as another major handicap at Newmarket, the Cesarewitch. The two races came to be known as the Autumn Double. The Cesarewitch initially took place before the Cambridgeshire, but the schedule was later reversed and the Cambridgeshire now precedes the other race by two weeks. Three horses completed the double in the 19th century — Rosebery (1876), Foxhall (1881) and Plaisanterie (1885) — but the feat has been rarely attempted since then. The Cambridgeshire Handicap is currently held on the final day of Newmarket's three-day Cambridgeshire Meeting.